Ever Noticed How You Need the Newest Technologies to Service the Oldest Buildings? The irony isn’t lost on us, either. 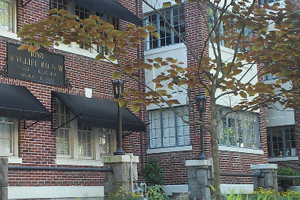 For many years, the 90-year-old 1898 Wycliff Condominium complex in Atlanta relied on inexpensive, standalone smoke detectors. But recently, residents of the three-floor brick complex became worried about the risk of fire, prompting the search for a new solution for the building’s common areas. That’s when it became clear that the brick exterior walls and concrete interior walls, and the old, unsuitable wiring in the walls and ceilings, would make installing a hardwired system extremely challenging and costly. Protex Security Systems, a local systems integrator, recommended a modern system that would elegantly blend into the ornate decor with no need to open up walls: Tyco Security Product’s hybrid PowerSeries Neo intrusion system. The combined wired and wireless alarm system easily covers the large common areas, providing reliable detection and transmission of fire alarm signals without compromising the historic nature of the multi-unit residence. Read the full case study about the special features of their choice, and why they were necessary to maintain the building’s Southern charms and keep the residents safe.